Concern is rising that troubled English soccer club Leeds United’s negotiations for a takeover by Bahrain-based Gulf Finance House (GFH) may not give it access to the kind of Middle Eastern funding that has significantly boosted the fortunes of the likes of Manchester City and Paris St. Germain. 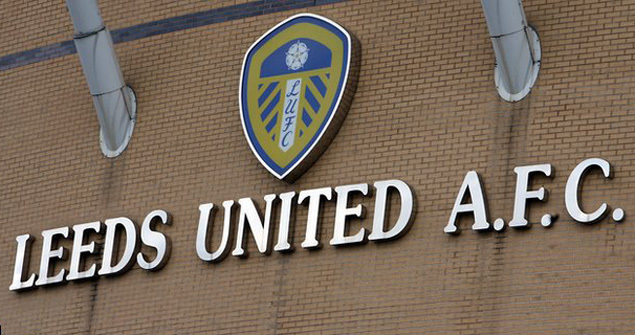 Determined to rid themselves of current majority shareholder Ken Bates whom they blame for the club’s difficulties, fans organized in the Leeds United Supporters Trust have welcomed GFH’s bid for the team despite Europe’s mixed experience with Middle Eastern investors. Unlike Manchester City and Paris St. Germain which have benefitted significantly from investment by government-backed Gulf funds or key members of royal families, clubs like Portsmouth SC, Swiss Super League club Servette FC and Austria’s Admira Wacker have suffered from and at times seen their problems aggravated by acquisitions by Middle Easterners whose takeovers proved to be whimsical rather than strategic. It was not immediately clear what the purpose is of GFH’s planned acquisition of Leeds, but its close association with the embattled rulers of Bahrain suggests that it may be in part intended to shore up the island nation’s image tarnished by last year’s brutal suppression of a popular uprising in which 35 people were killed and some 2,000 injured. Some 150 athletes and sports officials, including three national soccer team players, were arrested, dismissed from their jobs and in some cases tortured and charged in court for their support of the protests. Many of those affected have since been reinstated, but unrest is simmering with protests having moved from the capital into the villages in what many believe is a second uprising in waiting. Twin towers built by GFH in Bahrain’s financial district emerged last year as a symbol of the effort by Bahrain’s minority Sunni Muslim Al Khalifa family to preserve its power in a predominantly Shiite Muslim nation and protect the vast wealth of the country’s economic elite. GFH is a listed investment company run by Bahraini businessman Esam Janahi. GFH’s track record as a financial institution also raises concern. The investment house reported that it “had accumulated losses of $300.69 million contractual obligations… and its current contractual obligations exceeded its liquid assets”, in a May 14 letter to its auditors, KPMG, according to British newspaper The Independent. GFH has reported an approximate loss of $300 million in each of its half year financial reports for the periods ending June and December 2011 and June 2012, according to statements published on its website. “GFH has been on the brink of collapse for years, kept alive by Janahi’s relationship with the prime minister and the Bahrain central bank’s fear of loss of face. They’ve announced many deals that never came through,” said a Gulf analyst who requested anonymity. The report said that GFH had charged investors huge markups on land deals and taken out enormous up-front fees even before a project had been successfully built and sold. Reuters quoted documents it had obtained as showing that GHF “sometimes shifted investor money from one project to plug holes in another” and that its “property projects were hurt by blurred lines between the personal interests of Janahi and GFH itself. Investments and payments seemed to move back and forth between the two with very little scrutiny.” Reuters said that Investors in GFH had been left with huge losses — $1.07 billion in 2009 and 2010 — and questions about whether the company’s myriad projects were ever going to be built in the first place. GFH did not respond to several requests for comment but told Reuters last year that it had had 10 successful years before the financial crisis hit investment firms around the globe. It said it was the first firm to partner with governments in the region on real estate and infrastructure projects. “Indeed, Esam Janahi and other Executive Management members do hold valuable relationships with regional governments which were a direct result of spearheading GFH,” the company said in an email quoted by Reuters. The email went on to point out the “impressive track record that GFH showed in creating opportunities and unlocking value in emerging markets”.